When the idea of holding a St. Patrick's Day parade and celebration came up a few month's ago, I was all for the idea. Now, in the middle of the crazy parade of very inebriated party goers, I'm questioning my sanity. Of course, my sales of coffee and treats skyrocketed today. Actually, sales have been great since Thursday when the local bed and breakfasts and hotels started filling up for the weekend event. And it seems like even the heavens have blessed the day because we're going to reach the low eighties. In a few hours, after the parade ends and people have eaten, they'll be moving the party down to the beach for swimming and later tonight, fireworks. By that time, I'll be home - getting ready for my own St. Patrick's Day party. My front yard is a perfect place to watch the fireworks without being in the middle of everyone at the beach. And I got talked into feeding the gang too. Since I have no idea how to make corned beef and cabbage, I'm doing a taco bar. Which is way yummier than cabbage anyday. In my opinion. I think St. Patrick's Day is a way to celebrate the coming of spring. The green that we hope will fill our lawns and our gardens. Even in sunny California, we love springtime. South Cove, California, is celebrating St. Patrick’s Day—and there’s going to be a parade of suspects . 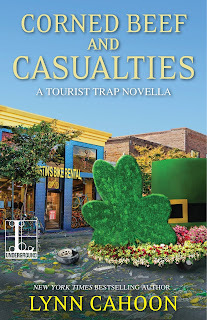 . .
Jill Gardner’s store, Coffee, Books, and More, is raking in the green as her little coastal town holds a big festival for St. Patrick’s Day. 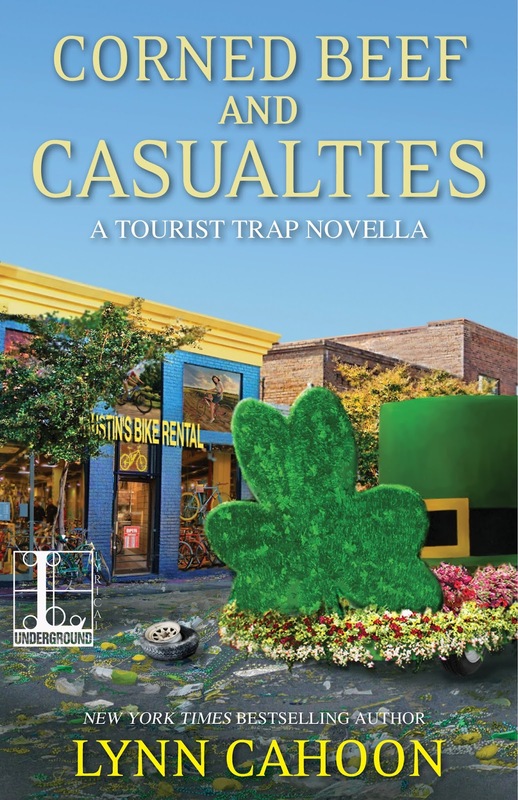 But the locals aren’t exactly feeling the luck of the Irish, thanks to the rowdy behavior of some of the tourists who are pouring in. Then a woman who just visited Jill’s shop is found dead near the shore. The fireworks display on the beach may have already happened, but the real fireworks have just begun . .
“I love going back to visit these characters!! !” Deborah A.
I love the cover and the title! So glad a new book in the series is coming out!